This week’s episode of Lucifer guaranteed one thing — Lucifer is incapable of figuring out his own emotions. Now, this isn’t exactly shocking to any regular viewer; but to watch my favorite devil’s guilt eat him up inside killed me a little. The episode begins with a zombie-themed wedding, but with the groom getting shot and the bride getting killed right before they say, “I do.” When Chloe arrives on the scene, no one has figured out why the couple was targeted. Upon Lucifer’s arrival, it is clear he has gone off the deep end. 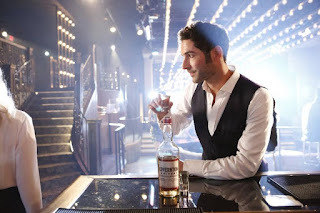 Lucifer refuses to see Linda and he has been drinking and sleeping with everyone in sight. When he arrives at the crime scene, he looks way worse for the wear and he is not acting like himself as the guilt of Uriel’s death consumes him. Lucifer begins eating the wedding cake and then extracting evidence by making out with a bridesmaid. Chloe is not too pleased, but at least he gets results. Once the suspect, the bride’s ex-boyfriend, is brought in. Lucifer proceeds to lock himself in with the suspect to get them to admit to the murders. He uses his powers to break off the handle so Chloe cannot enter and then scares the crap out of the ex-boyfriend. It turns out he didn’t kill the bride. Chloe is understandably incredibly upset with Lucifer at this point, and Dan can’t believe Lucifer isn’t benched yet. I mean with that attitude, I would bench him for drunk and disorderly contact alone, plus intimidating a witness. But what do I know? Oh, and did I mention that he assaulted a police officer too? Yeah. Lucifer punches Dan in the face. Prior to the face punching, Lucifer steals Dan’s badge and gun and then swipes confidential hospital paperwork that the detectives needed for the investigation. Dan then calls out Lucifer, which leads to Dan getting punched and Lucifer getting benched. The files lead Chloe and Dan to the next victim. Luckily, Lucifer arrives first. He uses himself as a shield for the victim, begging the sniper to kill him instead. The killer, however, does not want to shoot an innocent person, which gives Chloe enough time to arrest him. Lucifer is baffled by his horrible luck and still wracked with guilt. 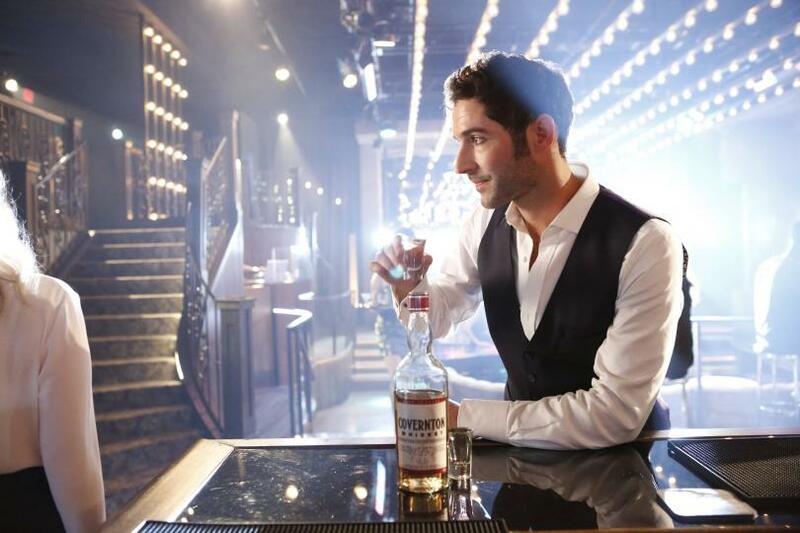 Lucifer was just so depressing this week. He has never killed a living soul before, so navigating this a first for him. This leads him to finally talk to Linda, who is fed up with Lucifer’s metaphors. She insists he tells her the truth or she will stop their therapy sessions. So, Lucifer decides to show Linda his true face. Linda is shocked into silence, her lip quivering, and he quietly leaves. This is where my heart breaks all over again. The bonding between Maze and Trixie was the absolute highlight of the episode. It was a great parallel for the way Trixie reacted to Maze’s true form while trick-or-treating and Linda reacting to Lucifer’s. In fact, the look of relief of Maze’s face was priceless and I almost shed a tear. I do not trust dear old mom and how she is manipulating Amenadiel. There is no way she’s one of the “good” guys and I feel like Amenadiel is going to get screwed ROYALLY. It seems to me mom is turning her sons against God. BUT WE GOT TO SEE LUCIFER’S FACE! It honestly wasn’t that bad (gimme horns) and Linda better get her crap together so she can help our baby out. Also, I am kind of sick of Amenadiel and his whining. I cannot find the ability to care.